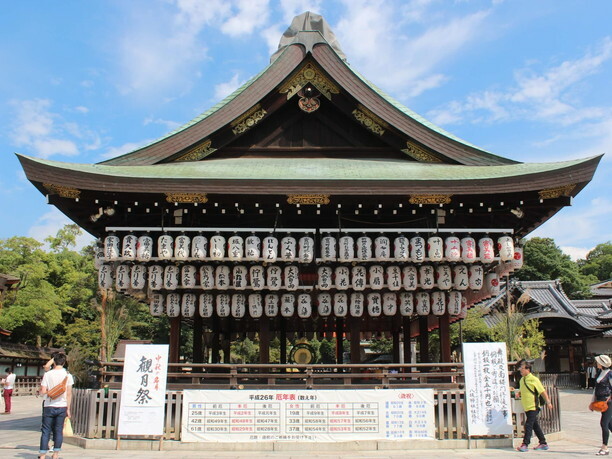 Yasaka-jinja Shrine is famous for the Japan’s three biggest festivals “Gion Festival”. The tower gate painted in red is a symbol of Gion. You would realize that you come to the downtown of Kyoto when you see the scenery. There are 16 precincts company for marriage, removing a direction, prayer for beauty, the rush of business, and so on. It’s also nice to take a walk in the Maruyama Park next to the shrine. 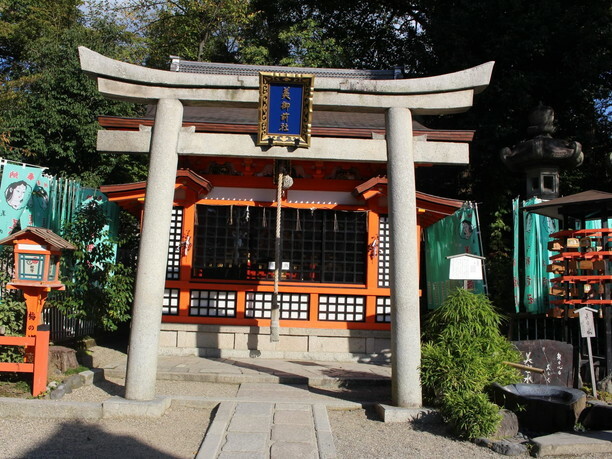 Yasaka-jinja Shrine is the total head shrine of approximately 2300 shrines whose worshiped deity is Susanoo-no-mikoto. In 656, an envoy from Kourai dedicated Susanoo-no-mikoto in this place. 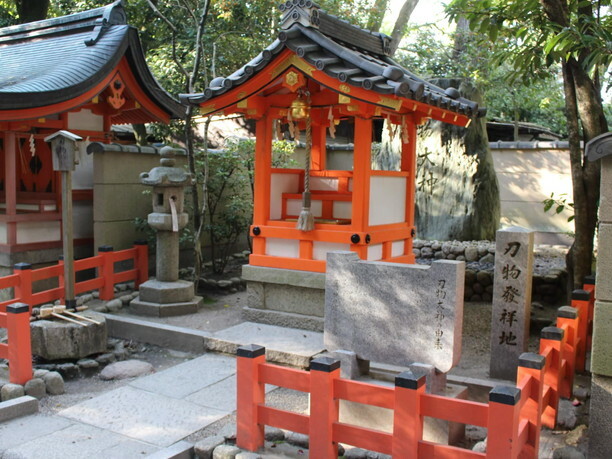 There are Kushiinadahime-no-mikoto, and Yahashira-no-mikogami which express eight children in this shrine. Then, let’s go around in the precincts of Yasaka-jinja shrine slowly. 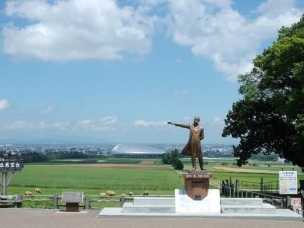 Go in the west tower gate and turn right, you would see Kitamuki-ebisusha on the right. This is called “Ebessan”, and it’s revered as the god of the rush of business. 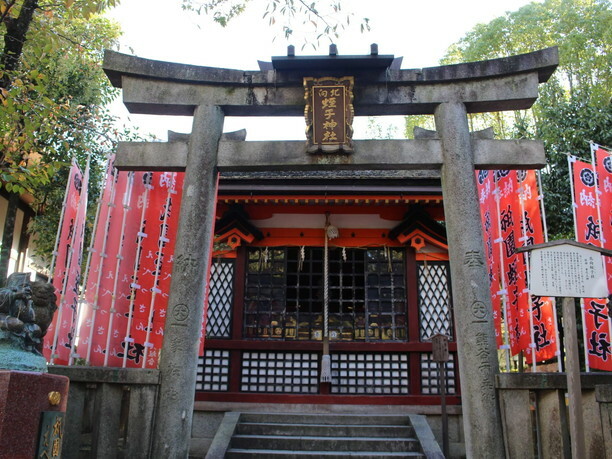 The shrine is built in 1646, and it’s a nationally designation important cultural property. On the opposite of Ebessan, there is Okuni-nushisha, a god of marriage. 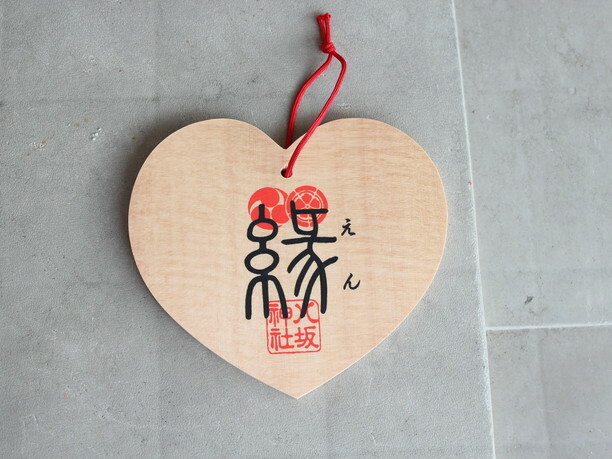 There is a heart-shaped votive picture tablet. Pray here if you wish to be a beauty! 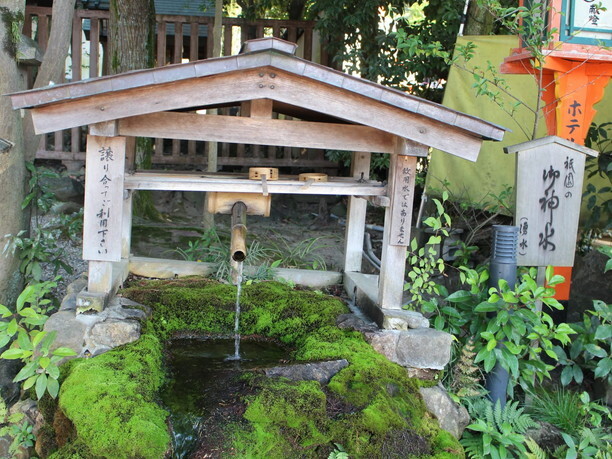 As you go pass through the side of Maiden (a place for dancing performance), you would see the sacred water springs out. It is said that you could be a beautiful woman by praying at the Utsukushi-gozensha after washing your hands with this water. 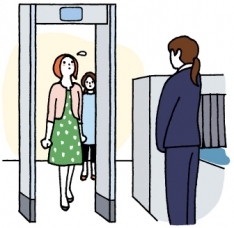 In Utsukushi-gozensha, three goddesses are dedicated. People have faith in them as a god of fortune, entertainment, and beauty. Maiko (Japanese dancing girl of Kyoto) visit there to pray for beauty. 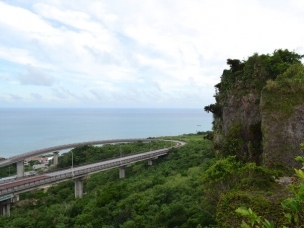 Now, go more deeply from Utsukushi-gozensha. 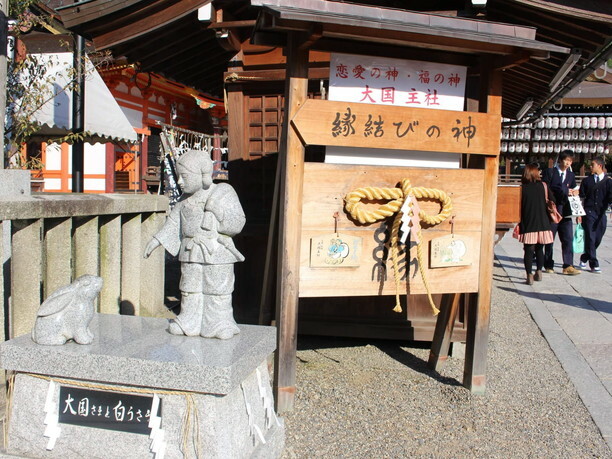 Hiyoshi-sha, near the northeast tower gate, is a god of protecting the unlucky direction. 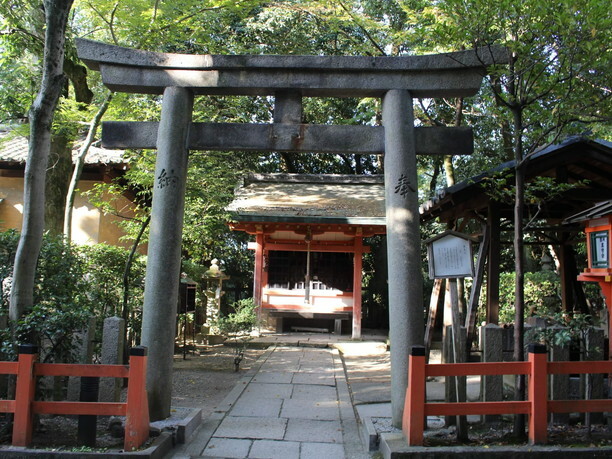 Next to the Hiyoshi-sha, there is “Hamono-jinja”. Workmen who are working on steel manufacturing and forging have faith. On the west side, there is Itsukushima-sha. Ichikishimahime-no-mikoto who was born from the sword of Susanoo-no-mikoto is dedicated, and is respected as a god of dancing and singing. Get the rare red seal! 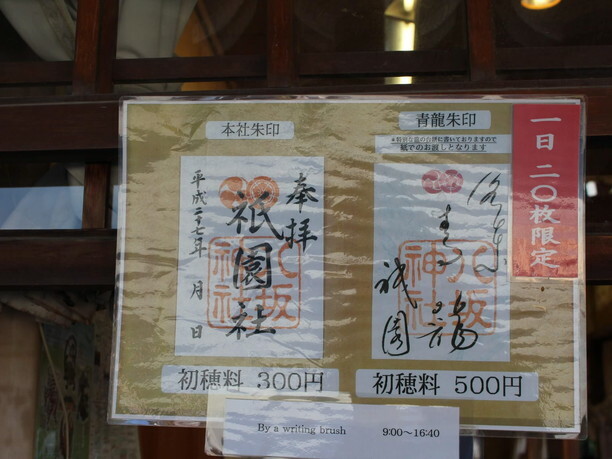 You can also get the red seal of Azure Dragon (without dates/500 yen), and the number of them is limited. Kyoto is the best ground for Four Gods. Four Gods are the holy beast to protect in all directions: Azure Dragon (of the East), White Tiger (of the West), Vermilion Bird (of the South), and Black Tortoise (of the North). Since Yasaka-jinja Shrine is placed in East, Azure Dragon is printed in the special paper. 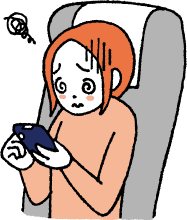 There is another limiter red seal available, so please check. 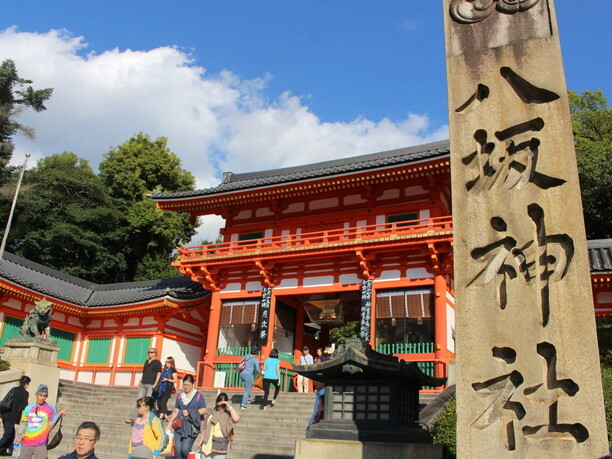 As this shrine is the most famous spot for sightseeing in Kyoto, it is very crowded on weekends and golden week. It’s better to take time and visit in the early morning. “Sansha-moude” is an annual event of Ebisu (January 9 – January 10). 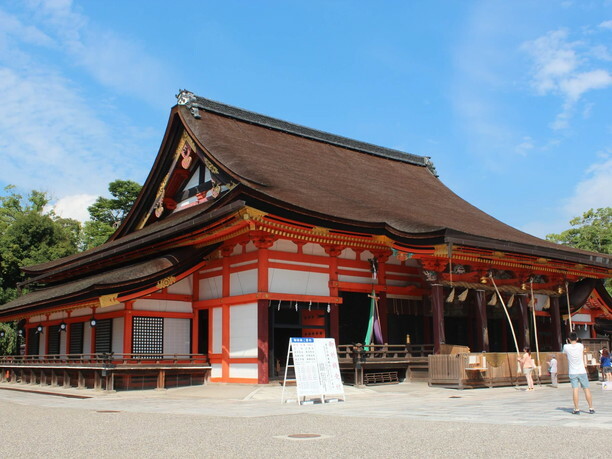 People visit the main shrine for protecting from evil, Okuni-nushisha for marriage, and Ebisu-sha for the rush of business, and get each of red seal and grace. In the conferment place, the paper of quizzes of Yasaka-jinja Shrine for kids. God dedicated to the shrine is explained clearly and becomes the quizzes. Let’s challenge it with kids. Yasaka-jinja Shrine 625, Giommachi Kitagawa, Higashiyama-ku Kyoto-City, Kyoto, 075-561-6155 Free of charge Free for worship (the shrine office: 9:00 a.m. – 5:00 p.m.) Open throughout the year 40 cars (600 yen for 1 hour ※free of charge if you are a prayer) HP: http://www.yasaka-jinja.or.jp. 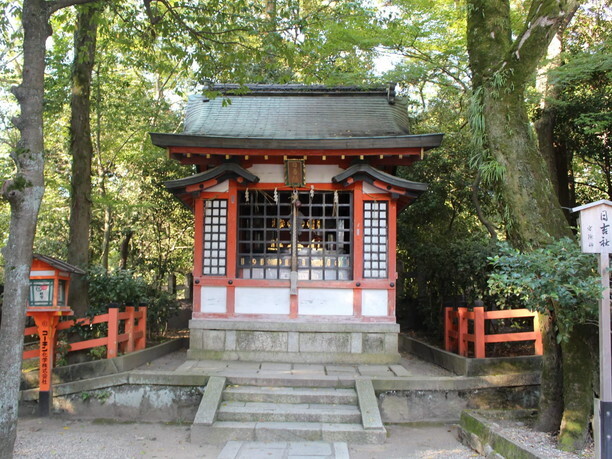 The world heritage site mysterious Tadasu Forest and elegant Shimogamo Shrine is a place for healing! 22 “Must see” classic Kyoto tourist destinations!